A sports nutrition guide and recipe book rolled into one, Food for Fitness dispels popular myths and gives you the tools you need to reach your maximum performance. 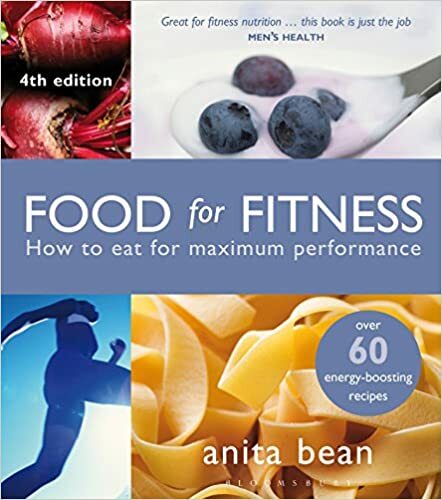 Food for Fitness is the ultimate resource for anyone who is serious about sport or fitness.. Now in its fourth edition, this bestselling book has been updated to include the very latest nutrition research for exercise and performance, and is packed with easy, delicious and nutritious recipes and snacks and helpful new menu plans. - Find out what to eat and drink to stay fuelled and hydrated. - Debunk the myths and evaluate the usefulness of sports supplements. - Learn the best times to eat to prepare for exercise, and what to eat to maximise recovery after exercising. - Get the performance edge and learn how to eat to win during competitions. Along with trustworthy advice and up to the minute research, clearly explained and tailored to your needs, Food for Fitness contains an essential recipe section filled with sixty five easy to follow meal ideas to help you put the advice into practice.